Please note that the Judith Shakespeare Tea Room is now closed and is no longer trading. Stratford is a beautiful town situated next to the quiet River Avon. 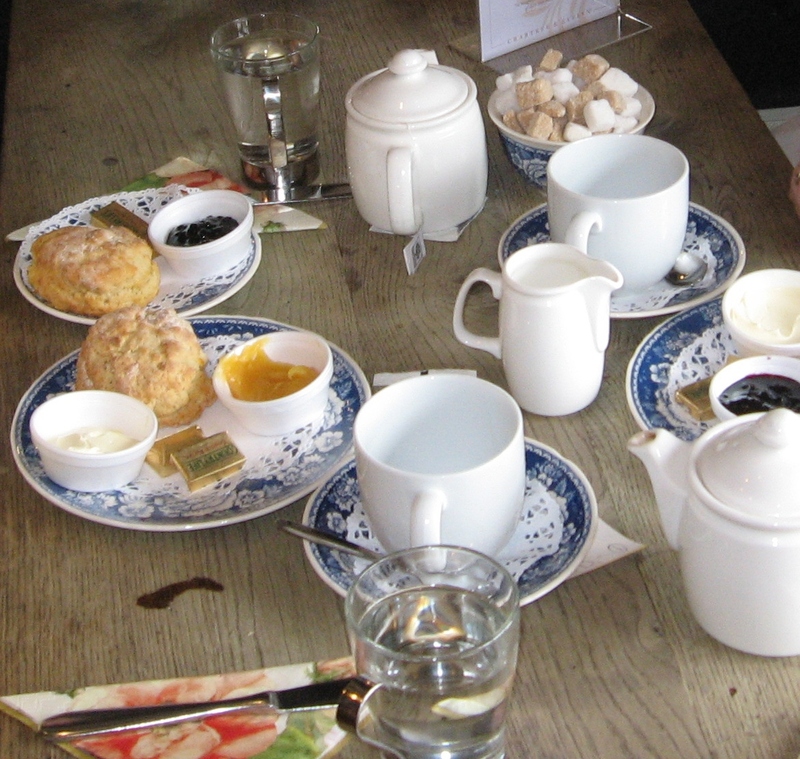 It is the perfect place for a day of leisurely walking and afternoon tea. The town has also gone to great lengths to preserve those sites associated with England's (possibly the world's) greatest playwright. Shakespeare's birth home, his wife's cottage, the church of his baptism (and burial), and the Royal Shakespeare Company Theatre are just a few of the places you can visit. Every building in Stratford, it seems, has some deep historical significance. Stratford's Tudor-esque High Street. Photo by Erin Connelly. Down the High Street is a tea room in the residence of Shakespeare's daughter, Judith, and her husband Tom Quiney. 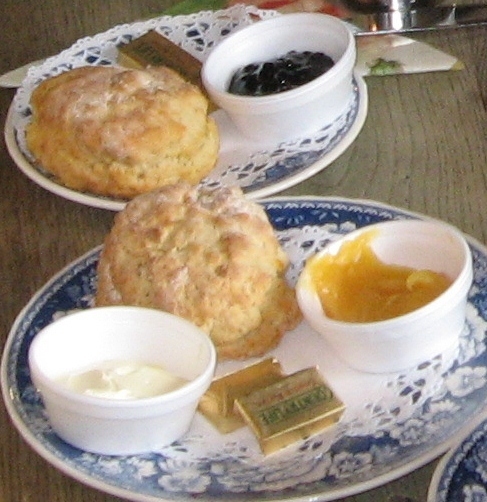 The tea room is not well advertised and most visitors only find it through word of mouth or because they've stopped for lotion at the Crabtree and Evelyn's that occupies the lower floor. This little tea room, situated in such an evocative residence, is certainly one of Stratford's best kept secrets. The tea room is a small one floor space with rooms separated by exposed natural timbers from the original house. Large windows fill the space with lots of natural light and on summer days the muffled noise of the street below can just be heard through the open windows. On days like that, it's not too difficult to imagine Shakespeare's daughter watching the busy high street from her upstairs window. Scones with homemade jams. Photo by Erin Connelly. Not only does the tea room offer the cosy ambiance of an old-fashioned country cottage, but it provides a delicious menu of unique and traditional items, including ginger-orange scones, lavender scones, a choice of homemade jams, millionaire's shortbread, and freshly prepared cakes and pastries. All the items are made daily from house recipes and the difference can be tasted. In a nation that invented tea-time, there is no shortage of tea room options, but Judith Shakespeare's tea room is certain to stand out in your memory as one of the best.